Hi, I am your go-to guy if you want to get things done in Vietnam. I prepare you to meet factories and introduce you to them. May I help you with sourcing textiles in Vietnam? I tell my clients that there are three entities you can approach when sourcing textiles in Vietnam. There are Taiwanese, Korean and Chinese mega suppliers offering quality fabric with a high price and in large quantities (high compared to what you would pay in China.) Then there are Vietnamese government textile manufacturers that produce basic fabrics but don't resale because the fabric is earmarked for their own garment production. Finally, there are small Vietnamese knitters, weavers and fabric dyers that have a few machines and are learning as they go. Price is ok but quality and consistency is wobbly at best. What fabric are you sourcing? May I help you sourcing textile in Vietnam? Why did you search for sourcing textiles in Vietnam? Are you already producing garments in Vietnam and need new sources of fabric? Are you new to Vietnam and just want to know what the sourcing textiles in Vietnam landscape looks like? Either way I can help you. I have been working in the Vietnam garment industry since 2008 and visited the majority of fabric suppliers in Vietnam. 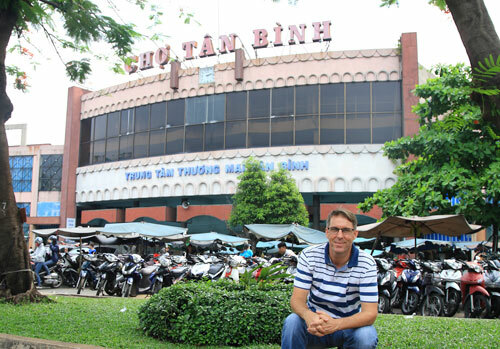 The picture you see here is me at the Tan Binh market. 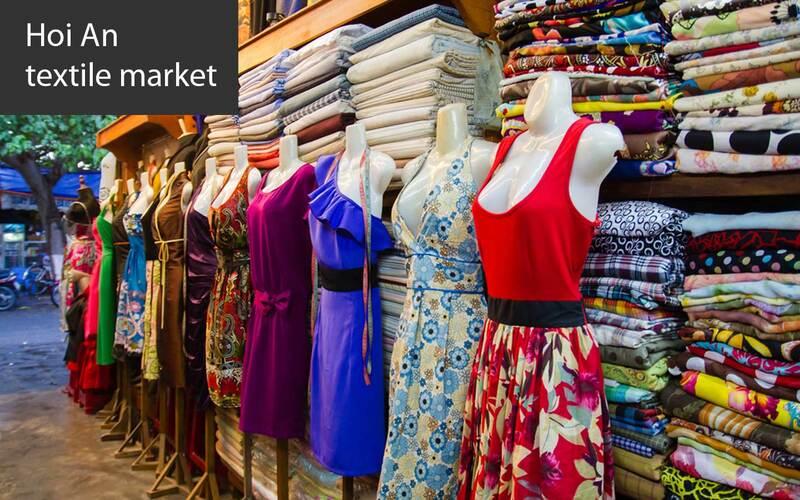 This market is full of fabric and accessories wholesalers. There is Cho Lon which also has many textile wholesalers. Sourcing fabric in Vietnam is easy and hard at the same time. There is a lot of fabric made in Vietnam and wholesaled. Most of the fabric that is produced in Vietnam already has a buyer and you have to either line up or pay a high price to get fabric made from scratch to meet your exact specs. There are fabric wholesalers in every city that will sell to you by the yard but what you see is what you get and good luck re-ordering the same fabric. Most factories produce woven or knit, not both. Woven textile is made on a loom and does not stretch (unless it has spandex.) Examples of garments made with woven textile are: toga dress, blazer, wedding dress, dress shirt, jeans, and surf trunks. Knit textile is made on a circular knit machine or flat knit machine. Examples of knitted textiles are: T-shirt, polo shirt, hoodie, sweater, beanie hat, and socks. Boxers can be made with either woven or knit textile. Cardigans can be made with either woven or knit textile. Pencil dresses can be made with either woven or knit textile. Pajamas can be made with either woven or knit textile. Fiber composition needs to be specified. If you say I want polyester or I want cotton, then the factory will know you are a beginner. There are many variations of polyester and cotton. Read my book to learn more. When sourcing textiles in Vietnam it's critical to present yourself as if you know what you are talking about so you are not taken advantage of.